I guess you could say that I am a fairly typical 27-year-old millennial. I went to VCU for Psychology and Environmental Science, and while my current job is not in that field I work very hard. Like a lot of millennials, I still live with my parents, yet I am desperately trying to save up for a downpayment on a house of my own. Where? I doubt you have ever visited the place. It is a haven of beauty, tucked away in the stunning Blue Ridge Mountains – only about 20 minutes from where I grew up in Salem, Virginia – known as Bent Mountain. I have felt a connection and a draw to that particular place ever since I discovered the winding road when I was 16 and started to explore my area on my own. 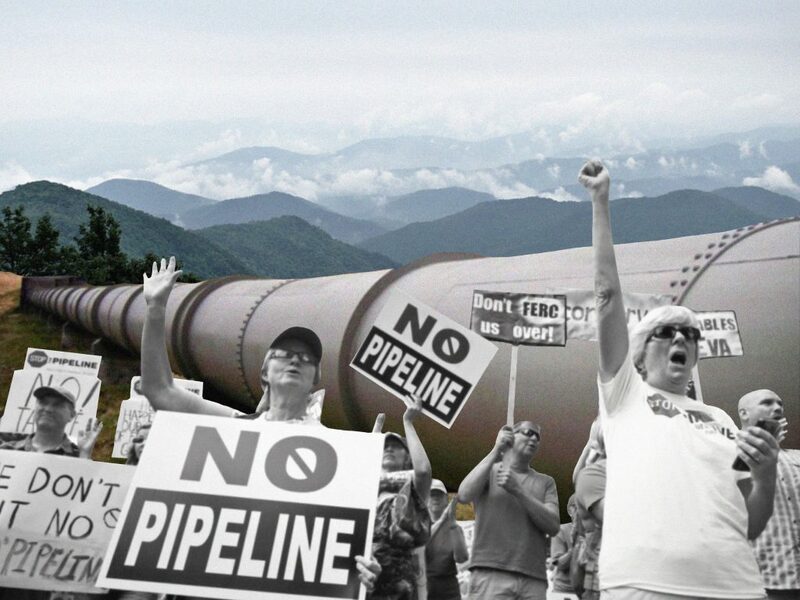 But now, what happens if the Mountain Valley Pipeline succeeds? 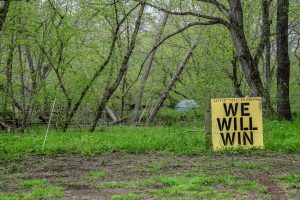 The unlawful destruction of land, private property seizures under ambiguous eminent domain laws, the blatant ignoring of environmental studies, and the apparent ignorance of the impact that such a project would have on our area makes this impossible. How can I make the life that I want on Bent Mountain knowing this? Why would I want to even stay in Virginia and settle down if this is the reality of how the Commonwealth protects its natural environment? I ended up voting for you. What choice did I have in the last election? I even changed a staunch Republican’s mind, he voted for you instead of Ed Gillespie, thanks to my passion and knowledge of both candidates’ policies. However, I did my research and knew you were pro-pipeline, which is why I originally cast my primary vote for Tom Perriello. 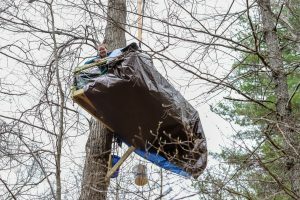 By the way, thank you, Mr. Perriello, for standing with most Virginians, and those who have taken to the trees in protest: Red, Minor, and Nutty against this travesty. Many people my age voted against you in the primary because we know building these pipelines are not the way forward. Fracked gas pipelines are not the future of energy and will do nothing but make a few people rich, destroy waterways, leak into our precious ground, and make Virginia look like it doesn’t care about the future of the planet or our children. How can you have a platform that wants to preserve the Chesapeake Bay from off-shore drilling, but not our streams and waterways from fracked gas? I could provide you some studies of what a project like this does to land and water, but this letter is more from the soul. The soul of a heart-broken voter who believed when you said all environmental laws would be followed and all studies would be done before beginning these project. As I’m sure you know, nothing like this pipeline has ever even been attempted before in Virginia. Why risk this now? Who does it benefit, really? I want, so very badly, to make my dreams of living in Bent Mountain to come true. I want to marry and have children, a house, and a dog on a quiet, pristine piece of land in my own corner of Virginia. I can see my kids, playing in the forests and streams, as I did when I was a child. It made me who I am and I am so grateful for the experiences I had growing up in this area of Southwest Virginia. But the question now becomes: Why would I want to have a family there now? Moving to another state has been in the back of my mind for a few years and now it may be my only option. Despite this, I will stand strong until the very end and fight this with every fiber of my being. I know this pipeline is wrong and will cause terrible damage to the beautiful Blue Ridge Mountains and with them, a piece of my heart. I can’t imagine that you would want young families moving out of the Commonwealth, but a lot of my friends have already done so because of these kinds of policies. I also find it hard to believe that you would want to be on the wrong side of history. The time is not just now, the time was here 30 years ago to make the transition to alternative and clean energies. Please help us. This issue is more than just business, it is about people and the ability to live in a healthy way in safety and security. You took an oath to do no harm. As I see it, if you do nothing to help the people out west who are in the worst kind of desperate situation, you are genuinely breaking that oath. p.s. People over profit. Virginia has always lead the nation. Jamestown is here! How many presidents have this great state birthed!? And now, our leader is going to back down to some out of state companies? How shameful and disrespectful. We, the people, put you in office, not the corporations. I have never seen a more bipartisan issues than land/ water rights and yet, you do nothing. 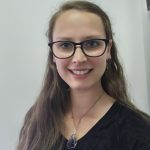 Margeau is a 27-year-old Virginian who has always been passionate about the environment and animals (including the strange human species). She spent her early school years being homeschooled, which allowed her to travel around the state, discovering her love of Virginia in the process. She is a graduate of VCU in Psychology and Environmental Science.